JGR announced last month that Christopher Bell would compete fulltime in the XFINITY Series next season. Since that time, he earned his first victory in the Series at Kansas Speedway on October 21. He will pilot the No. 20 Toyota Camry with Jason Ratcliff serving as the team’s crew chief. Ratcliff is currently the crew chief for JGR’s No. 20 Monster Energy NASCAR Cup Series team. Joining Bell fulltime next season will be Brandon Jones behind the wheel of the No. 19 Toyota Camry for JGR. Chris Gabehart will handle the crew chief duties for the team in 2018. In addition, JGR announces that Ryan Preece will return to drive a partial schedule behind the wheel of the No. 18 Toyota Camry, with Eric Phillips serving as crew chief. Preece competed in three races for JGR this season and earned a top-five finish in each, including his first-career win at Iowa Speedway. He will also be behind the wheel of the No. 18 this weekend in the season finale at Homestead-Miami Speedway. 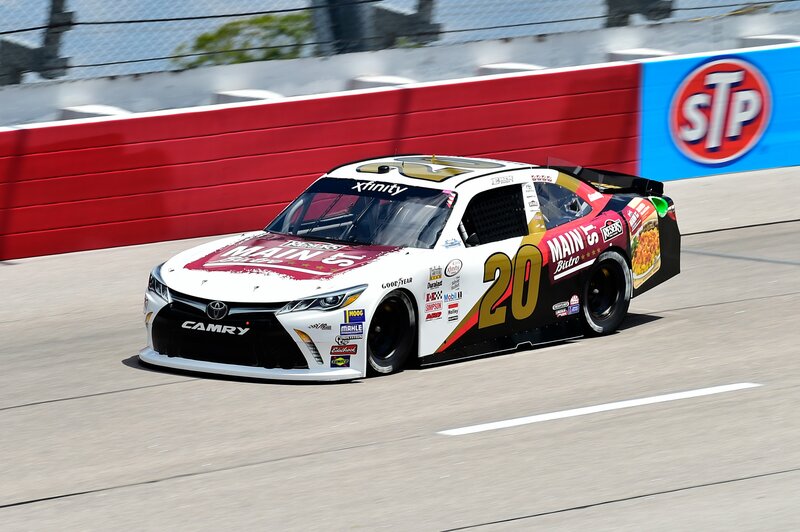 “Our NASCAR XFINITY Series program is so important to us at Joe Gibbs Racing,” said Joe Gibbs, owner of Joe Gibbs Racing. “We are focused on the opportunities we have this weekend in Miami of course, but excited about the talented lineup of drivers we will have competing for us in 2018. The addition of Brandon Jones to our lineup will provide tremendous competition to the Series and give us two opportunities to run for the XFINITY Driver’s Championship, as well as the Owner’s Championship next season. For as young as he is, Brandon has gained a lot of experience across several different series and we are excited to see what he can do in our equipment and with Chris (Gabehart) leading that team. World Copyright: John K Harrelson / Harrelson Photography Inc.
Jones has spent the past two seasons driving in the XFINITY Series. He has also competed in the NASCAR Camping World Truck Series (NCWTS), K&N Pro Series East, and ARCA this season. Over the course of his young career he has built an impressive resume of accomplishments which includes making the Chase in his NASCAR XFINITY Series rookie season (2016), compiling four second-place finishes in NCWTS and picking up a win in the K&N Pro Series (Iowa). He also has four ARCA Series wins, including two consecutive wins at Michigan, and was the first driver in ARCA history to win their first two races. Preece has made three starts in the XFINITY Series for JGR this season and has earned one win, a second and a fourth-place finish. He will be driving JGR’s No. 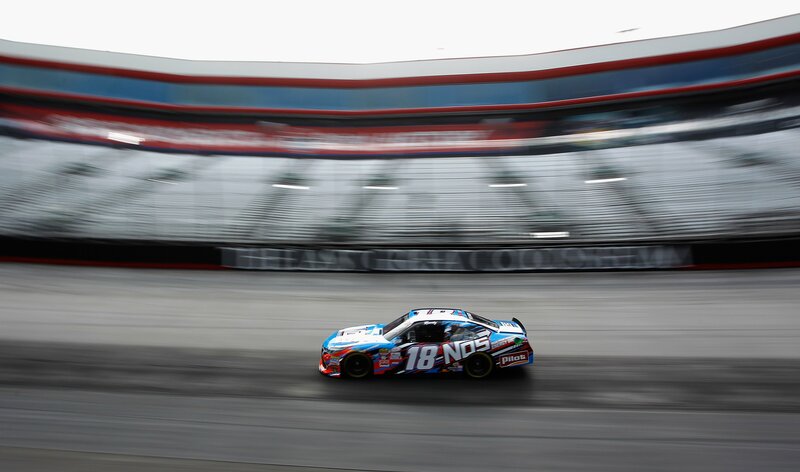 18 entry on Saturday looking to earn the organization’s fifth Series owner’s Championship. The 26-year-old Berlin, Connecticut native is a very accomplished short-track racer with 20 NASCAR Whelen Modified Tour (NWMT) career victories, 70 top-five and 96 top-10 finishes. He was crowned the 2013 season champion. Preece will share JGR’s third XFINITY Series entry with the organization’s Monster Energy NASCAR Cup Series drivers. Kyle Busch, the all-time leader in XFINITY Series wins with 91, is expected to run seven races in 2018, while Denny Hamlin, Erik Jones, Daniel Suárez and others will fill out the remaining races.